Athleticism is Goodyear’s strong suit, as he has a great turn of foot and elite endurance. 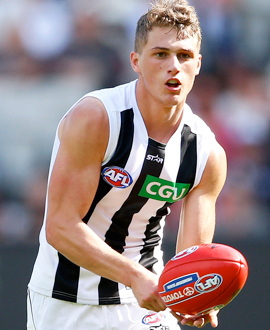 The former Calder Cannon averaged 14 disposals in 16 VFL appearances in his first year in the Black and White. Rarely fazed by the occasion, he is a good decision-maker, and broke through for two senior games during the first half of 2016.